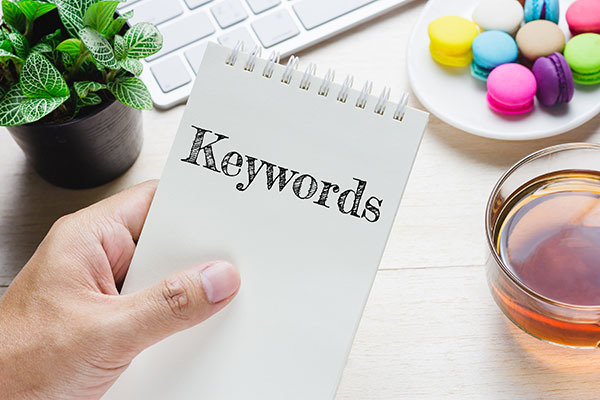 The secret to using keywords as a tool for search engine optimization is not to use one keyword many times in almost all the areas of the website, but a series of keywords used properly throughout the website. A keyword database is an important aspect in generating SEO content that remains relevant over time. Do not be afraid to record all the words and phrases that you think perspective customers would use to search for your products and services. There is no harm in having a keyword database of 50,000 words if it helps to list your website among the top in search engine results. Of course that’s a crazy number of keywords and phrases, but it really doesn’t hurt you! Having a database of keywords can simply mean an Excel spreadsheet. You can even have a whiteboard, or notebook (the paper kind) to list your SEO words of choice. What exactly are keywords and how are they derived? As horrible as this may sound, you’ll need to dumb down your thinking. Think of how a lay-person will search for your product or services. Forget the industry jargon and focus on what the common everyday schmo would search upon. For this website, SEO is a common phrase, but other phrases like “front page rankings” or ” best search engine results” or more common vernacular. While you hopefully know your industry best, sometimes searching your competitor’s search terms by looking through their source code will give you some ideas. Utilizing Google’s Keyword Planner will also help derive the best words. When you are of a good mindset you can be very creative with possible keywords. You may ask for help from colleagues at work or even people you think would fall into your target audience category from the staff at the office. Have everyone come up with their own word combinations which they would use to locate your products on the web. In the generation of keywords, no combination is too awkward because you cannot dictate to a visitor what words not to use. It may be hard at first to start with a random list of keywords because then it would be a challenge to be creative. What works best is to have a list of main keywords that you want to use for your SEO content. These keywords should then be systematically expounded on and modified to come up with various word combinations that would be used by visitors doing an online search. The more keywords available to use or match with queries, the more visible the website will be in the engines. Growing traffic with keywords is a complex strategy to use but very effective in the long run. After coming up with the keywords that would be used by visitors to land on your business website, the next step would be to reevaluate the opportunities that each word combination has in increasing the amount of traffic on the site. Some keywords are considered major keywords because they are similar to, or directly use wording that is the same of the name of the website. Others are not created around the name of the business but on the functions detailed within the website. The performance of keywords as an SEO tools can be monitored from the amount of traffic generated from use of certain words. As a keyword finds its standing, it is important to add more keywords and to incorporate phrases that would complement the initial set of keywords. This is why content development needs to be a continuous part of SEO. Talk with a Professional SEO Company…We Rock SEO!